There is nothing better than fresh produce! It is so nice to be able to cook with the freshest ingredients in your Mesa mobile homes. 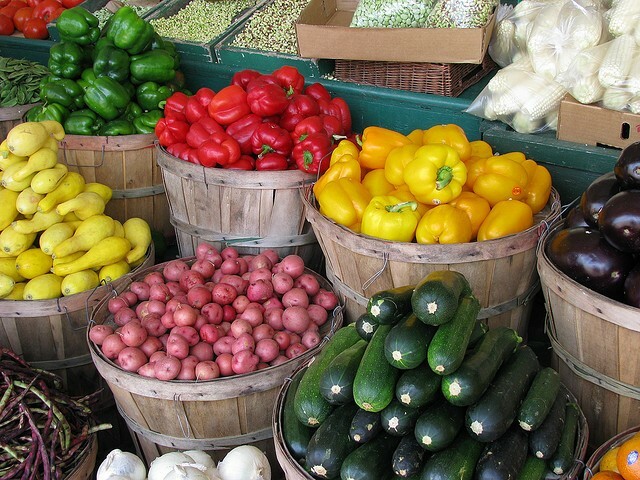 Visiting your local farmers market is the best way to keep your kitchen stocked with the best fruits and vegetables. Become a more active member of your Mesa mobile home parks’ community by getting to know your local venders and visit them every week. Here are three reasons you should visit your local Mesa farmers market. 1. Venders are the most interesting people. Farmers and venders at your local farmers market can be some of the best connections when it comes to getting great deals on fresher goods and produce. They are also a wealth of knowledge for all things gardening and farming. They may be able to give you even more tips to help your garden at home! 2. There is always something new. It is almost guaranteed there will be something new for you to discover every time you visit the farmers market, from new venders to new produce. As the seasons begin to change the fruits and vegetables will change as well. There will always be a new fruit for you to try! 3. It is a fun place to hang out. Visiting a farmers market every week is a hobby within itself. Everyone there will share your appreciation and interest in the local farmers. It is a great opportunity to get to know your neighbors as well. The best way to learn about different fruits and vegetables is to speak directly with the source so visiting the Mesa farmers market every week is a must! Meet some new people and become more involved in your Mesa mobile home parks’ community. What could be better than enjoying fresh produce every sunny Saturday?